Zeus Play is a young software provider company which was founded in 2012. The company headquarters is in Blagoevgrad, Bulgaria and most likely the only online casino software company coming from this country. The company is licensed by the Malta Gaming Authority and certified by iTech Labs, Gaming labs and multiple jurisdictions. The Software offers more than 50 High Quality games to the players inclusive of Video Slots, Lottery, Jackpot and various bonus games. Zeus Play offers numerous Slots games including different genres. Because this is a fairly young software company the designers went straight to work in making their casino games compatible with all mobile devices. 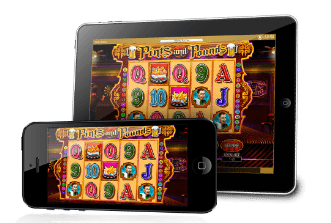 All of the casino games from Zeus Play are fully compatible with Android and iOS so you can easily access them on the go from your mobile device. The games list from Zeus Play isn’t very big. They have over 50 video slot games in their offer ranging from the classic 3 reel fruit slots to ultra modern 9 reel video slots. 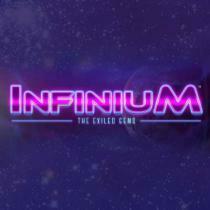 Their games are interesting with great visual effects and animations. Still the best part of their slot games are the bonus rounds. 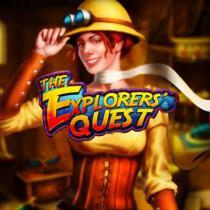 Many of their modern video slot games have a free spins bonus with a special expanding symbol. This bonus feature is a trademark for Novomatic slots and games with this bonus round are capable of producing big payouts. Some of the most popular slots coming from Zeus Play are: Eternal Desire, Amun’s Book, Captain Nelson Deluxe, Dark Ninja, Page of Fortune Deluxe, Disco Fever, Honey Money, Guardian of the Sand, Princess Chintana, Lost Temple and Lady of the Forest. In most of the online casinos which offer casino games coming from Zeus Play players will find generous welcome bonuses. The bonus offer differs from casino to casino so you can usually choose among a match deposit bonus or free spins for a deposit. Zeus Play is a casino software provider company with headquarters in Bulgaria. The company has over 50 different video slot games in their offer, as well as Lottery and Table Games. Yes, the casino games from Zeus Play are proven to be fair by Gaming Labs International. You can play the casino games coming from Zeus Play in our list of online casinos, but they can also be found in land based casinos and across VLT terminals.